Metro Toronto Zoo opened the 10 acre Tundra Trek show casing a lot of arctic animals. So what “white” arctic animals are there? Well, there’s Polar Bear, Arctic Wolf, Arctic Fox, Snow Goose, and Snowy Owl. However only three of them are on display when I visited. This is the second post in the “white” animal series. And in this post, Snowy Own is the featured animal. 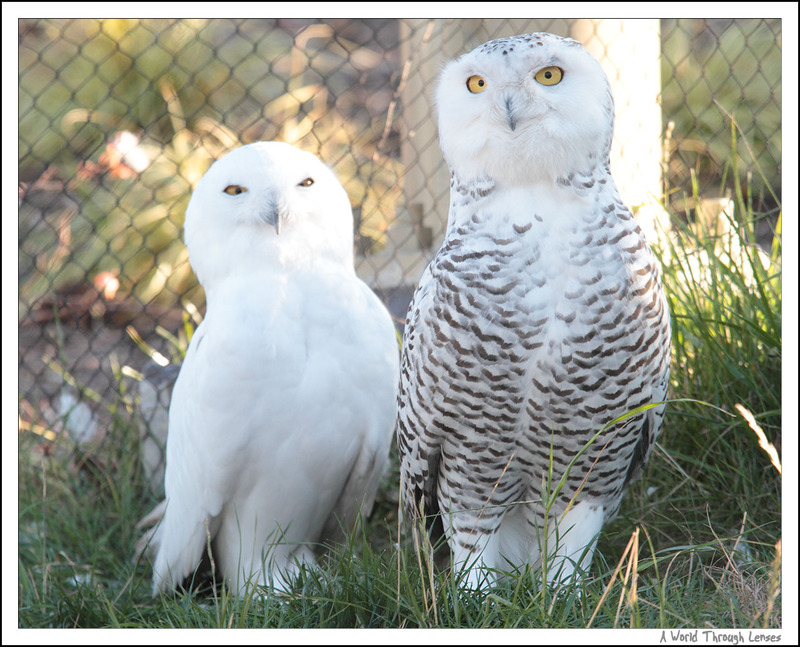 Here’s a shot of the pair of Snowy Owls on display.